There has never been as many American women who do not have children as the present moment. 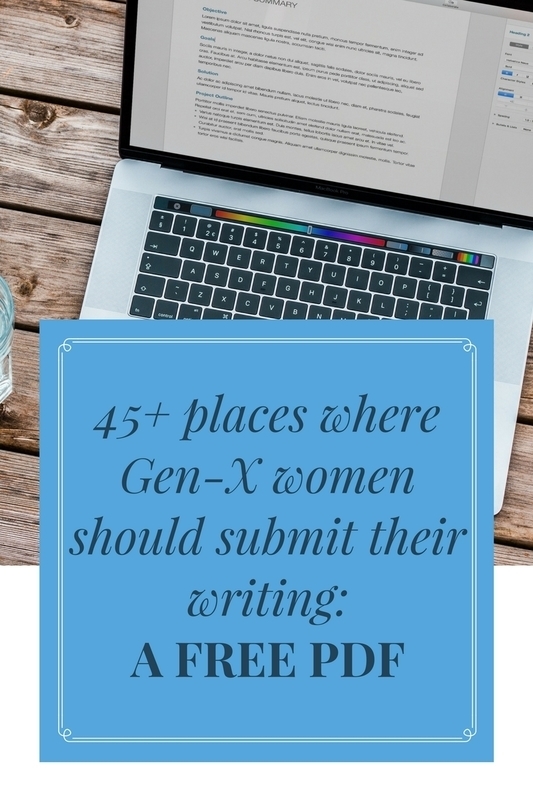 According to the U.S. Census Bureau, in 2014 40% of women, aged 15 to 50, were not mothers, the highest percentage since the Bureau started keeping track of this data. At the start of this decade, about one in five women got to the conclusion of their childbearing years with no children. In the 1970s, only one in ten did. Additionally, more Gen Xers are single or never married, in comparison to previous generations. What do all of these statistics mean in the lives of individual women? 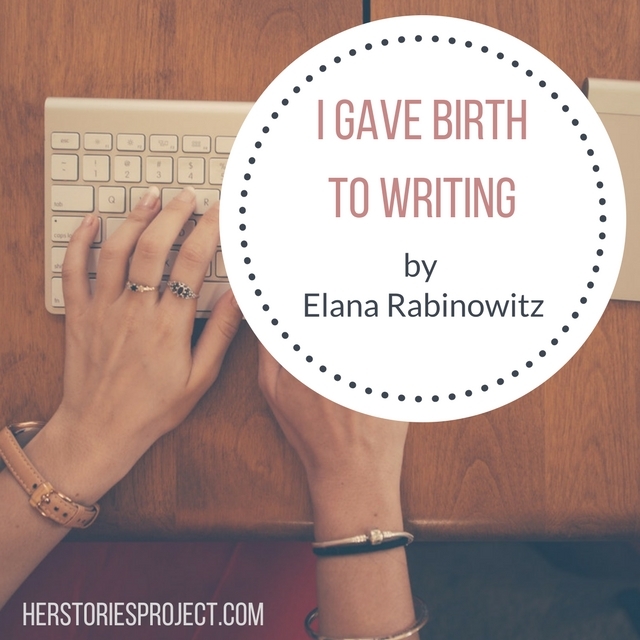 Today, Elana Rabinowitz shares her story of what happened after she realized she would never have children and harnessed that energy into becoming a successful writer. My writing started when my motherhood ended. It was born out of my inability to have children, and served as a surrogate – bringing something into the world. In my forties, after years of waiting for him to choose me, to realize I was the woman that made him happy, he chose someone else. As did the man before him and the man before. They all chose the diminutive version of myself and I was left to figure out how to put one foot forward and move on. I was the one who was always good with kids. The one who the shy ones clung to like honey and the scared ones held my hands tightly at night to make them feel safe. I always thought I would be a mother, but I never was in a relationship long enough to make it a reality. So when he chose her, I chose motherhood. Even though I was terrified. My desire to be a mother outweighed my fear of doing it all alone. It took a few months to sink in. To get passed the shame of failed relationships and focus on making it happen. I put everything I had into it: endless fertility treatments, needles, testing. My early mornings spent in waiting rooms, vapid constraints of endless couples and me by myself, swallowing the pain, wrapped in morsels of hope. Each time getting close but never able to conceive. Failure after failure I still returned. Then one day, I heard the words, like magic whispering in my ear, “you’re pregnant,” the nurse told me excited. I didn’t know I could feel such joy. A few days later, he was gone. Like the love I often felt, it too didn’t last. After that loss, I needed to stop hurting myself, stop losing. I became determined to find something. Some people know what they want to be from an early age: an artist, a doctor, a marine biologist, but for others, like myself, the path was not well paved. I knew I liked to write from an early age filling my journals but never able to share with the outside world. It came so naturally for me, the transference of ideas to words and I found ways to incorporate my prose in various jobs: service announcements in public relations, editing a book for the Arts Council, teaching teenagers how to write a claim – but it wasn’t truly what I wanted. I wanted to share my stories, the ones only I could tell, but I did not know how to get there. Writers went to Ivy League schools and recited obscure books. I was not of this echelon. I could not compete. I sat idly while I watched friends and acquaintances write books and articles and I sat frozen with my stories – locked up tightly only to be revealed to a few close confidants. Hand written poems scribbled on old spiral notebooks and the embryo of essays waiting to be born. Yet, I was not confident anyone would care what I had to say. And so my journals were tucked away, piled on top of each other like a house of cards waiting fall. I was now forty-four. My path was an artery of overlapping failures. I had lost at love over and over which stung deeply and often and the pain would resurface when I’d least expect it. But nothing was a visceral as intense as the anguish of not being able to give birth, give life. No matter how many needles and pills I injected, no matter how many acronyms I tried: IUI, IVF, I was SOL. I had wasted too much time holding on – waiting for love to be requited and now I was left alone with hospital bills and a forlorn soul that needed to breathe again. I did not think I could survive this pain. The type of cries that turned into howls. Holes so gaping, I could barely breathe. Seeing glimpses of my unborn son, in young children with olive skin and brown eyes. Seeing the man I loved holding a younger woman’s hand and looking at her in a way he never saw me. I needed to find something. I had always been afraid to be a writer. I didn’t think my sensitive soul could handle rejection, but I was not the same person I once was. I was stronger now, I could handle most anything. I went to the library where a free writing class was offered. I sat in the back in a wooden chair and listened while all the participants politely complimented each others prose. I wanted more. I could take the criticism now. I desperately wanted someone to hear me. To notice me, that’s when I found the perfect class. I reluctantly signed up. It was expensive, but nothing compared to the thousands I had just lost on treatments. The timing felt right, it was spring break, when things are born again. With the pink cherry blossoms blooming, I nervously entered my teacher’s living room where the class was taught. In an instant I felt a kinship with the group. People who felt compelled to share their words no matter the consequence. It was as if I could finally let out my biggest secrets in a safe space. In this room I could say all my thoughts and fears and they would be welcomed with open arms. I didn’t realize what journey I was about to embark on. It was just some woman’s living room after all – what could really happen here on this black leather sofa? Our first assignment was a humiliation essay: your most embarrassing moment in 900 words or less. I certainly had 9000 words on the topic. We brainstormed story ideas but I was not ready to share just yet. I thought of writing about something less personal than what brought me to this class to begin with. These strangers didn’t need to know that I was childless. I had other anecdotes I could bring in. The teacher ended the class by offering the first ten students that emailed her had the option of reading their story to the class for immediate feedback. Who would be brave enough to share their most personal moments to a group of twenty strangers? I was a private writer, using felt tip pens to write in miniature letters throughout a string of old journals and on the corners of speckled black and white marble notebooks. I was a secret poet and purveyor of prose. How would I come to let me words out into the world? If I took this course in my twenties or even my thirties I would have refrained — shared humorous stories of love gone wrong, but the stakes were higher now, I needed the truth to be heard, I was hungry now. I began to write my story, equal parts humor and grief. Just writing it out I already felt better, stronger. In a moment of transformation, I emailed my teacher and read my story to my class. My voice was shaky and at times I needed to stop, fraught with emotion of what I was sharing. But all the while, these fellow writers laughed and empathized as shared snippets of my search for love. These were my most personal moments and they were now released into the world and the weight and shame of all my secrets were liberated with them. Next, my teacher and classmates gave feedback and I rewrote the piece. I had done this before. Written a 900 word essay – gotten praise and then stuck it on a folder somewhere to gather dust. I only thought real writers got published. Not people like me. But now I learned what to do. There were computers and email and it was so much easier to send my stories out into the world, even the ones bound up so tightly. I read every single comment twice so as not to miss anything. I learned how write a short cover letter, email editors and pressed send. I felt such a release pressing that button, admitting my truths even if it was only to one person. I would wait now, as I did only months ago at the hospital. Would I finally bring something into the world that had not been there before? I patiently waited. My first reply from the New York Times, It actually caught someone’s eye but was ultimately rejected. A week later it was published on another popular site. My stories, the words that I made on my own, sans chemicals, were birthed into the world. I was never so afraid of anything as this, the world knowing my secrets, my shame. My own parents didn’t know what I had done. And then it happened. I set them free, sprinkled them into the universe and the world embraced me. They still do, over 50 essays later. The feeling of sharing my work is still bitter sweet. As a writer you are so vulnerable, so raw that you open yourself up to great criticism and judgment. Yet, overall, I am amazed at how well my words are received, how many people write me to tell me I inspired them. These words I hold onto when I feel like giving up. I also know that if I became a mother, I would not be a writer – not now anyway – that one took the place of the other. I am still a teacher. I am still single. But I am no longer without endowment. Let’s say that again. I am a writer – a legacy I continue to breathe into the world. And for now it will have to be enough. 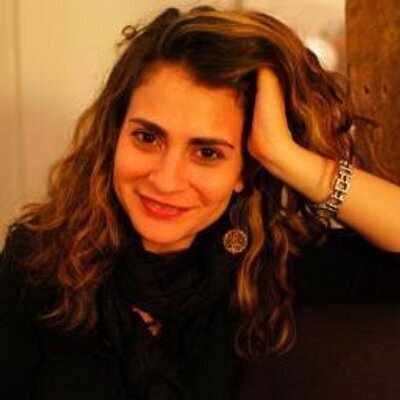 Bravo, Elana. I admire your courage and fortitude. I love the way you show that pursuing one’s passion requires doing learning, hard work, and patience. I look forward to reading more of your endowment. I love this. It take grit to accept certain situations and more grit to turn them around. You’ve done both! Be proud!